Night harvest becomes easy for the operator. 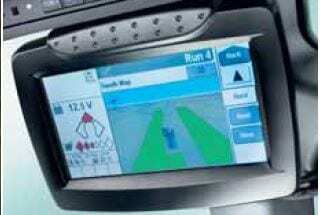 The Row Tracking System, RTS, can be specified with New Holland GPS guidance to automatically track the worked rows. These are displayed on the IntelliView screen, enabling the operator to quickly identify the rows to be harvested. Work data can be stored on a USB memory stick for tractability.